The first cool breeze of fall brought in a Great Egret. 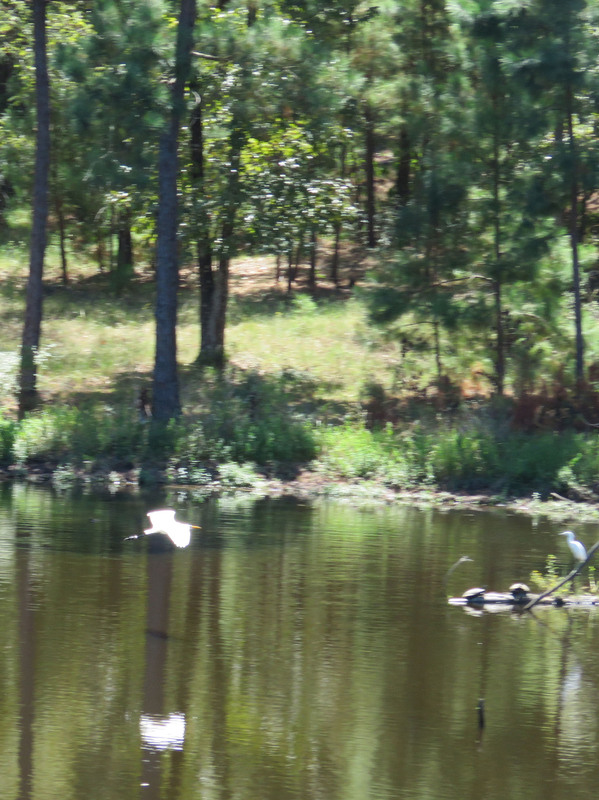 A Great Egret at the edge of our pond. 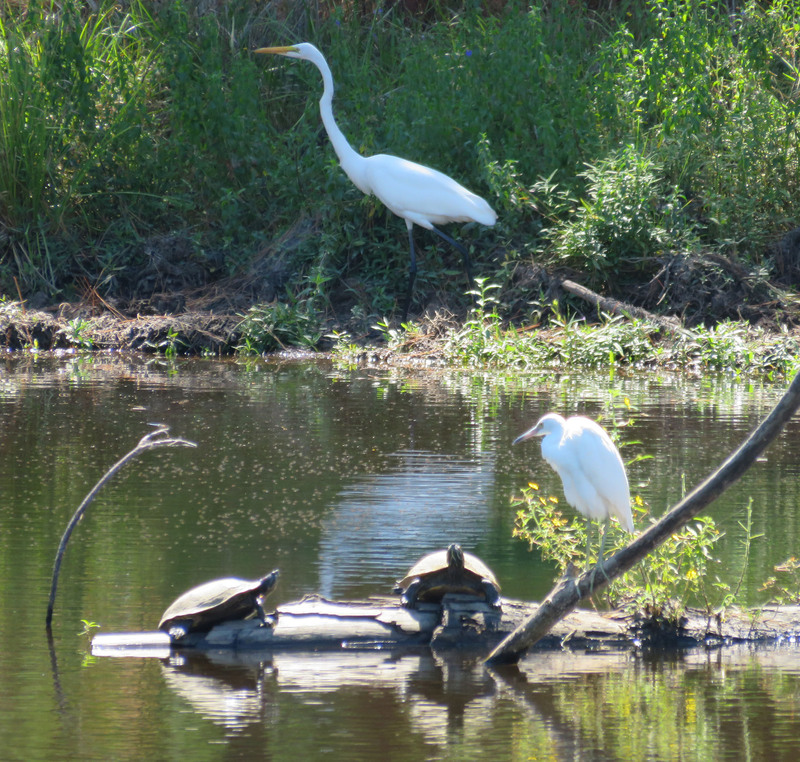 Stately Great Egret passes behind immature Little Blue Heron and some Red-eared Sliders. The tip from Jen Hooks’ photo prompt that helped me the most was the one about making sure you have a focal point in monochromatic pictures. 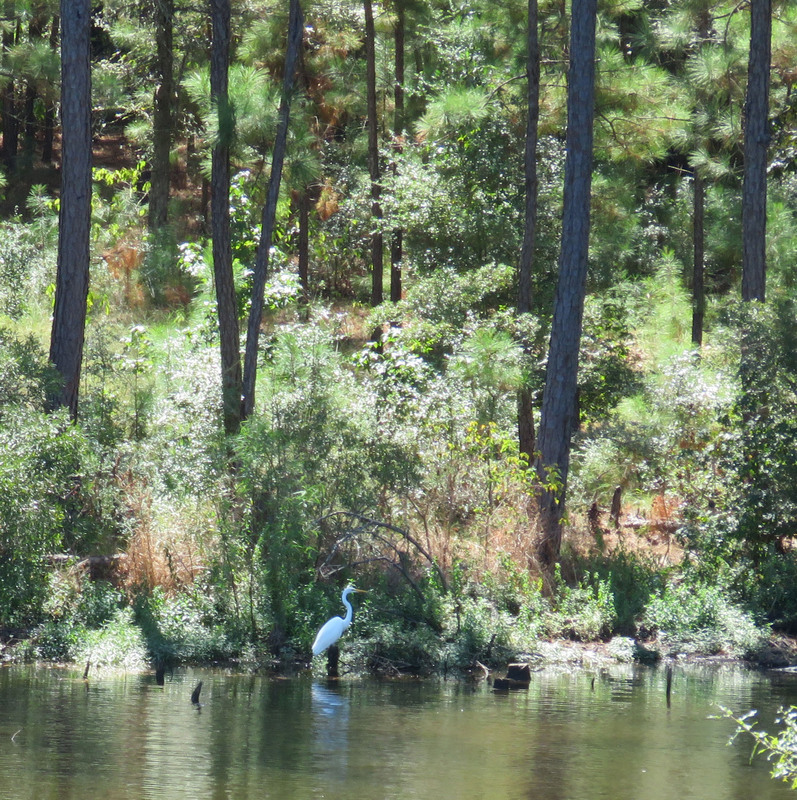 The egret provided a perfect focal point in the sea of Pineywoods green. I think this next picture has a really nice composition, with the movement of the flying egret, its reflection in the water below, and the Little Blue on the right providing the third point of a triangle, but sadly, the picture is not in focus. Maybe someday I will do an illustration based on it. Nice composition but too blurry! These pictures were taken with a Canon Powershot SX60 HS. Thank you! I love your blog so that means a lot coming from you!